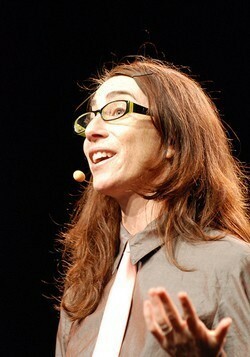 With Alex Gunn unable to attend the Connecting Up 2011 conference in Melbourne, Canadian comedian, conversationalist and self-confessed geek Heather Gold has been named as a new keynote speaker. With Alex Gunn unable to attend the Connecting Up 2011 conference in Melbourne, Canadian comedian, conversationalist and self-confessed geek Heather Gold has been added to the bill as a keynote speaker. Close to 400 delegates have already signed up to attend the CU11 Conference in Melbourne this week, however it’s not too late if you want to attend – Connecting Up are still taking last minute registrations. Heather Gold is a speaker, comedian, conversationalist and self-confessed geek from Canada, and Connecting Up are hoping she will bring a new dimension to the conference. Connecting Up Australia (CUA) says with the Gunner pulling out, they were determined to find an alternative speaker who could provide real value and a fresh insight into the CU11 theme of “Reboot your Nonprofit”. CUA says Gold’s expertise in the art of authentic conversation and communication will be fantastic to see as she teaches delegates how to engage people both socially and emotionally. Gold has shared her understanding on the importance of conversation at conferences such as Google, SXSWinteractive, BlogHer, AIGA, Social Venture Network, Forum One’s Marketing & Online Communities Conference and Overlap 08. Gold’s speaking style is described as less about presenting and more about bringing the room to a more intimate conversation about whatever topic is being discussed, doing away with the traditional powerpoint presentation. CUA says Heather’s unique take on the ability to build community through conversation will bridge the gap between having the right technology and using it effectively as a communications tool. The workshop on Friday 3 June is still going ahead (and bookings are still open). Keynote speaker and Executive Director of the US-based Nonprofit Technology Network Holly Ross will be sharing her special brand of knowledge and deep understanding of the sector from her experience with NTEN. Shai Coggins and Simon Gee from CUA will be helping Ross facilitate the workshop.